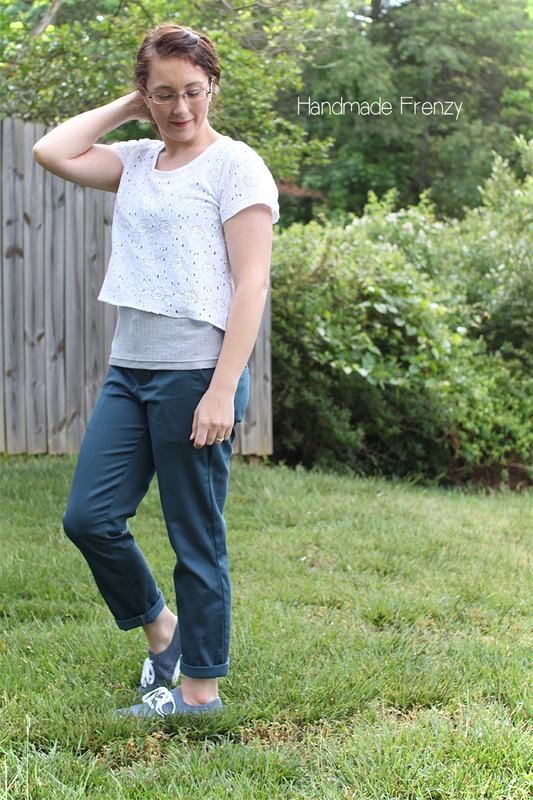 Today I'm going to chat you up a bit about my top combo that I paired with my Hampshire Trousers! I initially made this crop top to wear with a high waisted skirt and the tank to wear under because of the sheerness of the lace. It turned out great. Just totally not great for what I had intended it. Ha! 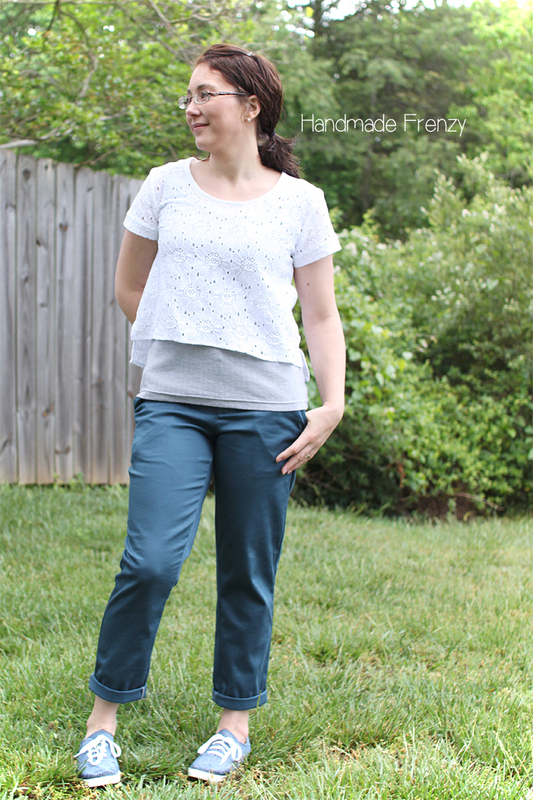 Something was so very off with the tucked in tank and high waisted skirt, but something sort of magical happened when I wore the tank untucked and with pants. Suddenly I liked it!! The crop top is actually a hack of the Scout Tee. I shortened the sleeves by about an inch and added a cuff, the rest... Well, I sorta just winged it. First I measured myself from my neckline to where I wanted the cropped length to hit, then transferred that to the front pattern piece. 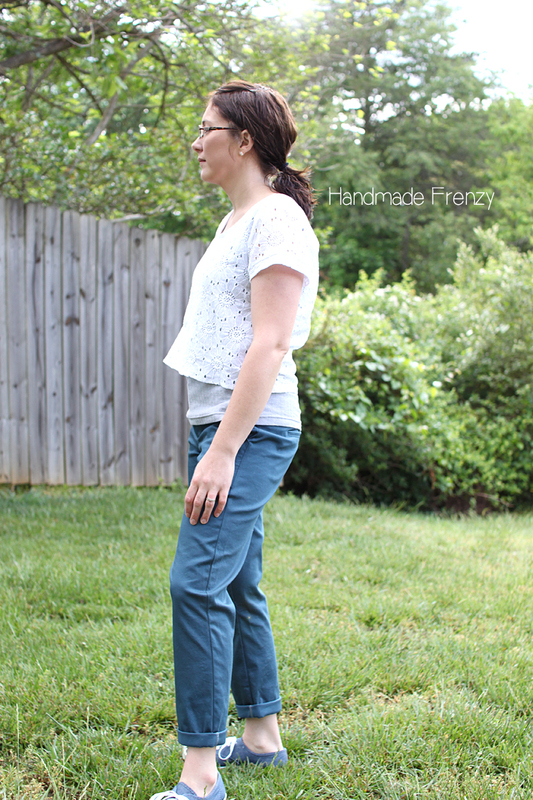 I cut the back to be 2 inches longer than the front because I wanted a split side hem with an offset. I finished the edges of the side seams separately so that I could fold under the edges at the hem split. Next was sewing it together and trying it on. I ended up taking another inch and a half off of the front because it was longer than what I wanted and also the difference between the back and front wasn't as much as I was picturing. And that's pretty much it! It was an easy mod. I did size down from first time I made this pattern, I actually ended up gifting that first one to my sister who is much taller than me because it was just a little too wide for me. I have more of that fabric left and I'm hoping to eek out another one for myself because it was perfect for a Scout! The crop look is something that's taking me just a little bit to get used to, but I love all the looks I'm seeing on Pinterest and wanted to give it a shot for myself. 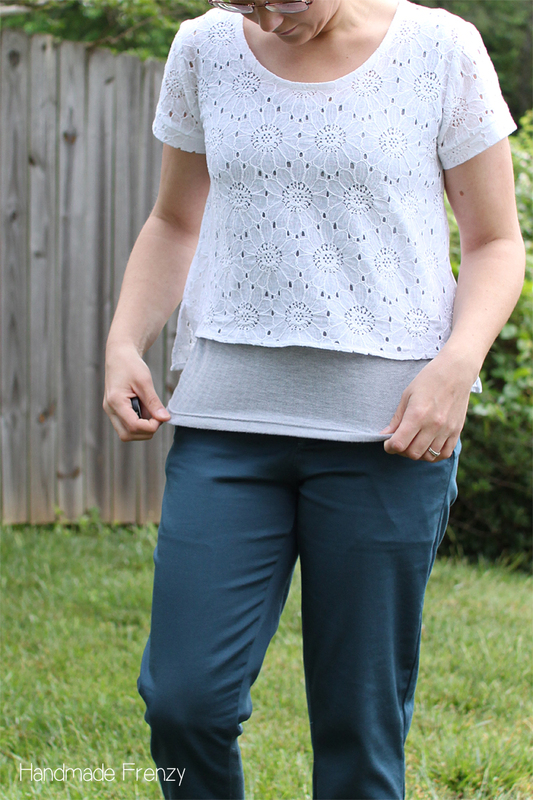 This one is seriously so comfortable that I know it will get worn simply for that reason! Plus the texture of the lace and herringbone knit together kind of make me swoon. On to the tank! 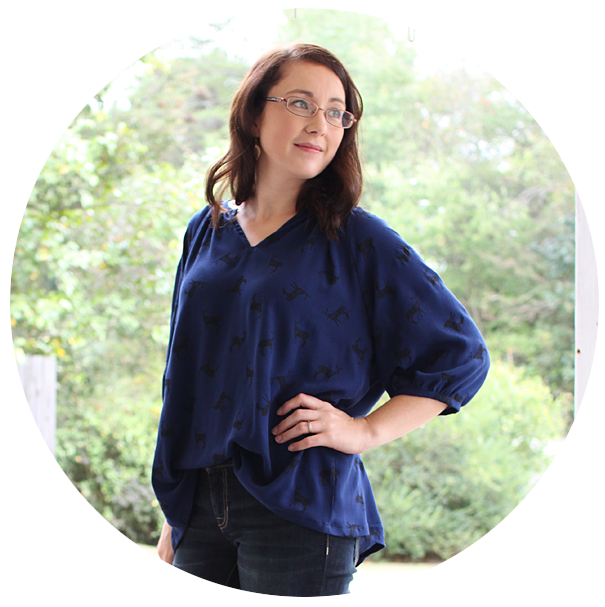 It is the Greenwood Tank by Straight Stitch Designs. (*affiliate links) This was my first time making this pattern and it will be made over and over and over again! My chest measurement put me in a size 6 so that's what I made, but it ended up quite long in the shoulder area. I shortened the straps an inch and it was much better. I feel like the armsyce might be a little high now though, although wearing it it hasn't bothered me at all. Next time I think I will go down a size and see how the fit is with that because I also slimmed down the sides just a bit. 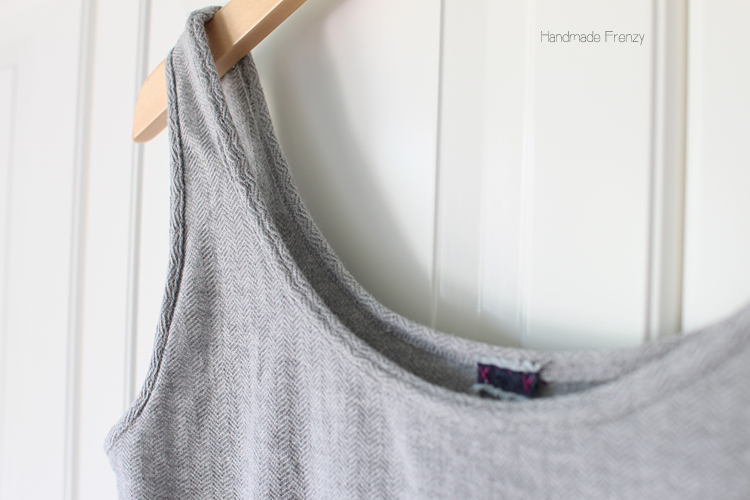 The binding finish on this tank is what makes this pattern special! It makes it feel like high quality RTW to me. Only better though, because I made it myself! 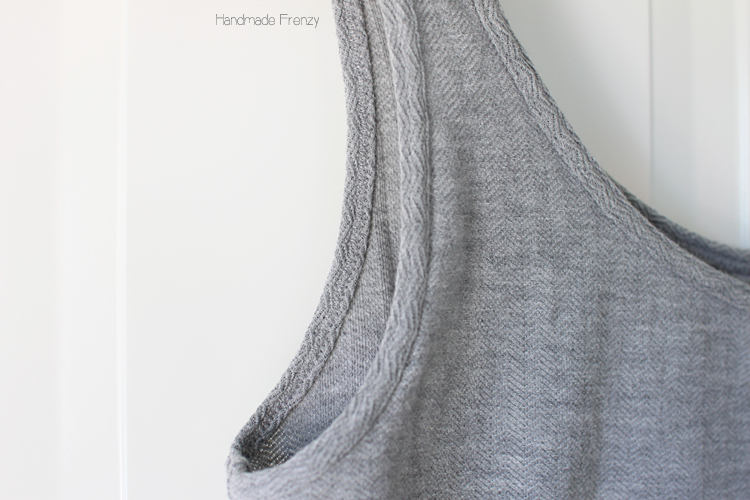 The fabric for this tank is Robert Kaufman herringbone knit. LOVE the texture of it! For the last step of the binding I used my double needle and it was just so lovely. Can't wait to use this method again! What do you think? Crop tops; yay or nay? Yay to crop tops!!! I like the way you paired it. Found your blog by way of the Tilly and the Buttons feature. I must say I LOVE the pants also! Kudos to making those. 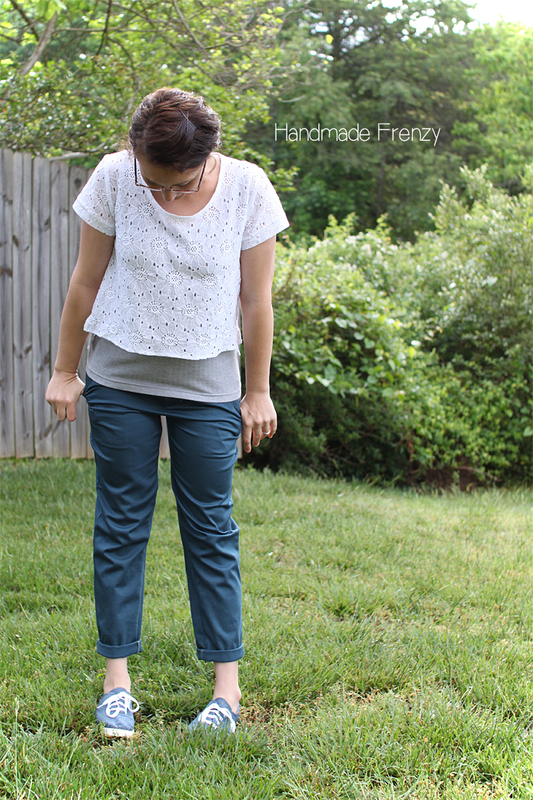 I'm going to have to grab that pattern since I'm in need of some casual pants for work. I agree, the whole ensemble looks very RTW!